MRP Design Group designed and developed an 18,000 square foot travel center near Pendleton, Oregon. Construction was completed and the facility opened in March 2009. Included in the facility design is a full size McDonald’s Restaurant with drive thru and auto/diesel fueling. The travel plaza provides many retail concepts and includes full trucker amenities such as a TV lounge, showers, laundry room and work spaces. 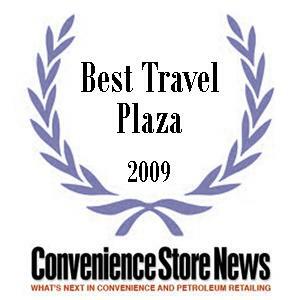 Award Winner: Arrowhead Travel Plaza awarded 2009 “Best Original Travel Plaza” by Convenience Store News.